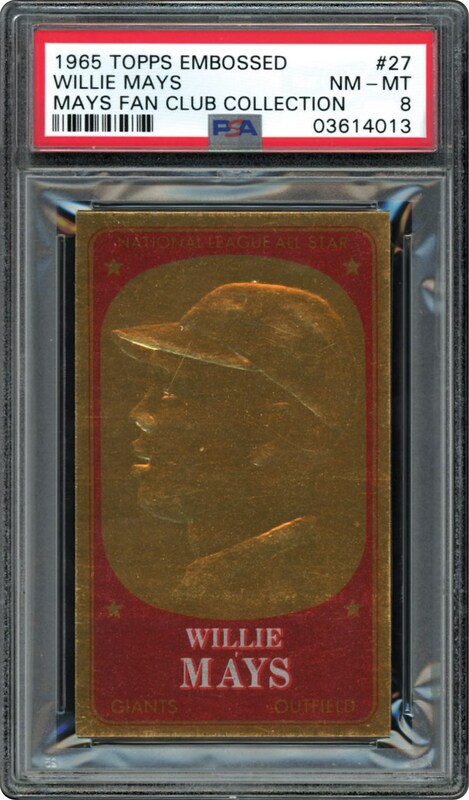 1965 Topps Baseball Insert from the Embossed series. 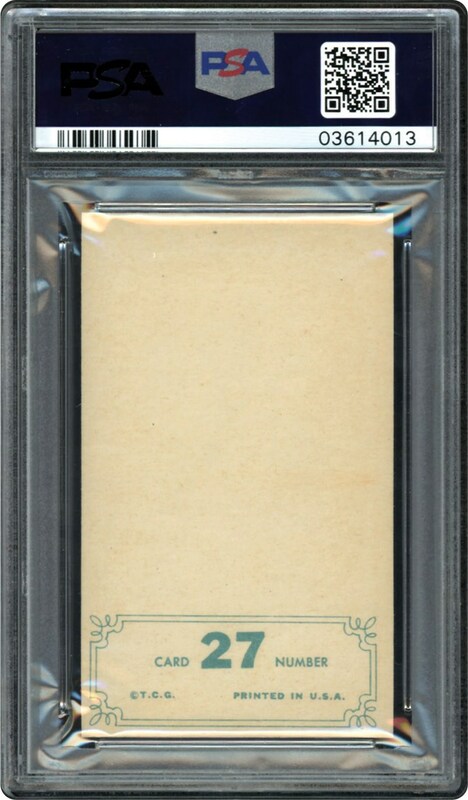 This Mays card in the PSA 8 holder is the highest graded example in the hobby. Another Top of the Pops Mays card in this Auction.